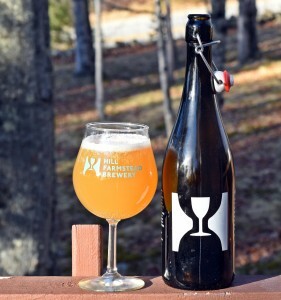 This is the ninth beer from the single hop pale ale series from Hill Farmstead that I have reviewed. The first were; Amarillo, Cascade, Citra, Galaxy, Mosaic, Nelson Sauvin, Riwaka, Simcoe. I think the only one I missed is Columbus. Motueka pours a pale orange with the signature Hill Farmstead haze. Bright white head and soft carbonation. Aroma is a little more subtle than a lot of Hill’s beers but still has a nice amount of citrus and some grass. Taste is also a little lighter than their other single hop beers with a slightly sweet start followed by some citrus and floral hops. Finish is clean with virtually no bitterness. Always surprised by the mix of aroma and flavor a talented brewer can get from a single hop variety. This beer is super easy to drink like most of their pale ales and I really enjoyed it. Brewer’s Description: An American Pale Ale bittered, flavored, and dry hopped exclusively with Motueka hops, a New Zealand varietal.